Organ transplants are life-changing operation and are generally very successful. India is famous for medical tourism. Many people come here for treatment and organ transplant. We require a donor to replace the defective organ with the healthy one. Your organ donation could transform the life of someone and organ donors are true heroes in every sense of the word. Organ for transplant comes from either a living donor or from deceased donor. After the death of the person, the organs are taken from the dead body under the permission of family members and preserved until a suitable recipient is selected by the hospitals. The living donor are from family members such as brothers, sisters, parents, child (18 years or older), cousins, spouse or friend who wish to donate organ. The donor should be in perfect health and should be able to provide consent about the medical actions to be performed on his/her body. If you are healthy and willing to donate, you can donate an organ to any family member. DNA Forensics Laboratory Pvt. Ltd. is providing its services to many prestigious hospitals to avoid fraud and involvement of any transplant rackets. 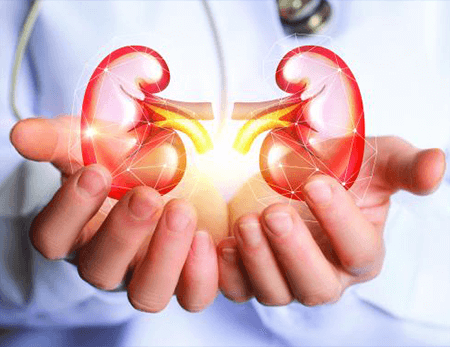 As per TRANSPLANTATION OF HUMAN ORGANS ACT (THOA), FORM 5 it is mandatory to discover the relationship between a living donor and a recipient. This has to be issued by the laboratory where DNA profiling is done. Without Form 5, the approval committee for live donor and organ transplant may not accept the application and consider it as incomplete. DNA test plays a crucial role to prove a biological relationship and can be possible through STR, YSTR, and mtDNA-based DNA test. Different DNA profiling tests are performed based on the claimed relationship of the recipient and donor such as paternity DNA test, maternity DNA test, sibling-ship DNA test, Y-STR analysis(Paternal side relative), mtDNA (Maternal side relative) analysis and kinship DNA testing. DNA test is done as per reference to sub-rule 2 by a NABL Accredited laboratory. Certificate should be given in FORM 5 along with DNA test report. Donating your organ is a potentially life-saving gift. Our prices are competitive, but our services can’t be strike. Please feel free to call us at: +91 8010177771 or +91 9213177771. We promise to provide you accurate, honest and informative answers for all your questions. We look forward to hearing from you.